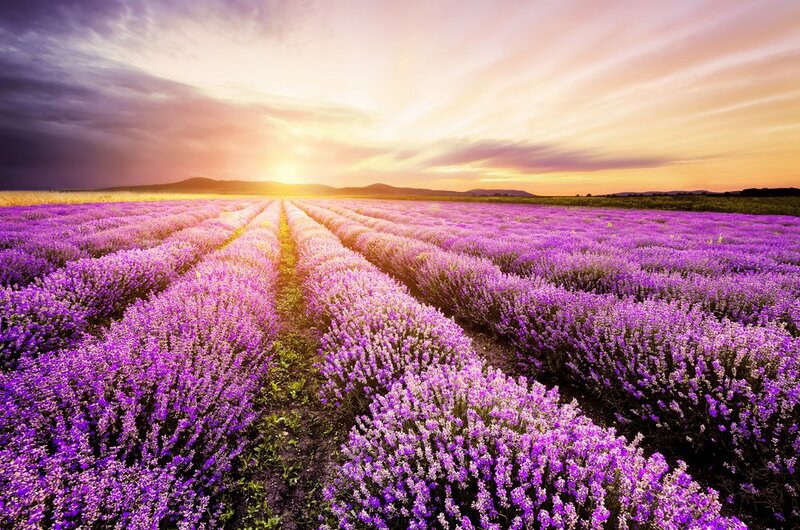 Lavender fields have conquered Instagram – and, I admit, I am smitten as well and cannot ignore those beautiful fields either. 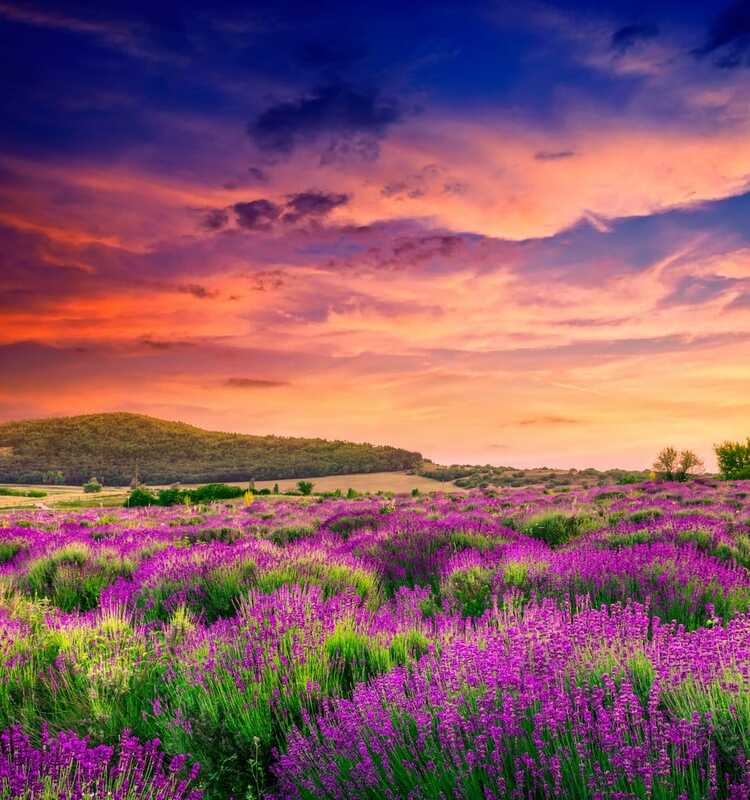 Though I have not seen any myself, I always enjoy looking at those gorgeous purple fields and visiting some of them is on my list. 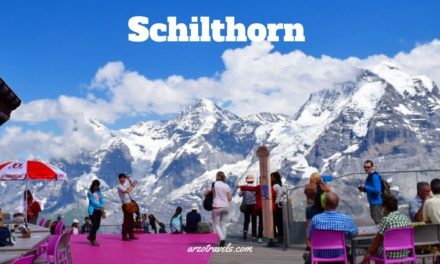 It is about the right timing (check out when they grow) and about choosing the right destination. 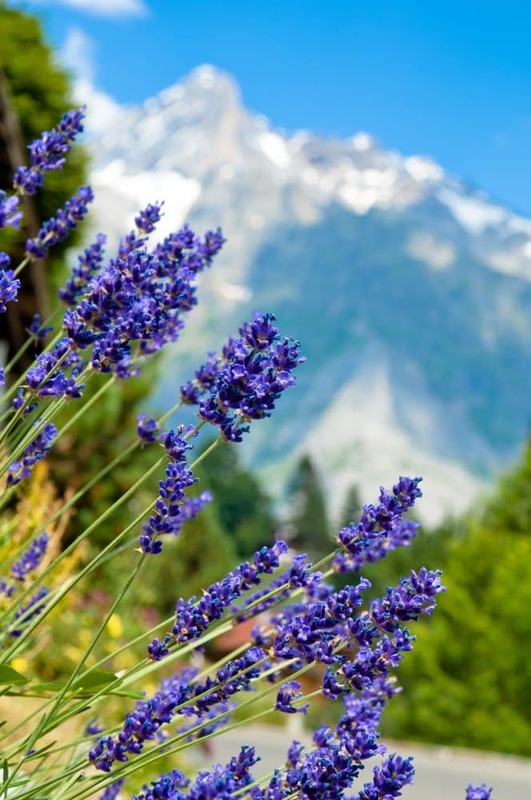 Lavender is not only pretty to look at; it is, among other things, also known for its aromatic scent, and its positive characteristics as a herb and oil. 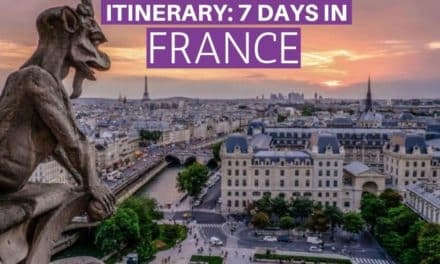 But since I like to focus on the travel aspect, I would love to take you on a little journey and visit 9 countries where you can see beautiful lavender fields. 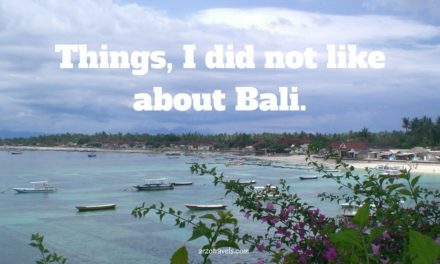 Some places are so pretty that a person in the picture might ruin it, but I cannot wait to visit those places and get my pictures taken in a dress which matches perfectly (check out my Instagram here). 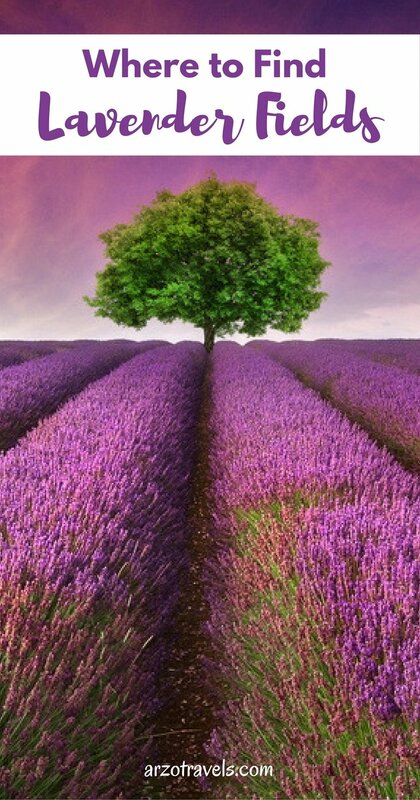 So for now, I have picked some pictures of lavender fields only and I am happy to take you on a trip to lavender fields around the world. 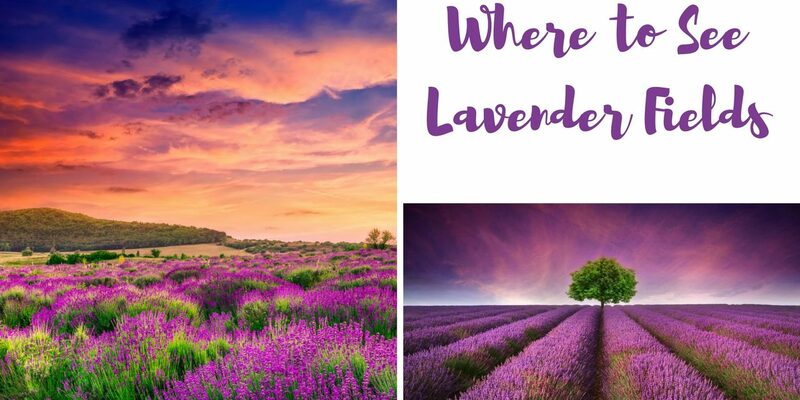 So for now, I have picked some pictures of lavender fields only and I am happy to take you on a trip to lavender fields around the world. By the way: as you can probably tell I love purple – I would not say it is my favorite color, but it is definitely among my favorites, and I love flowers/plants, so this is a perfect combination – I hope, you are enjoying these pictures as much as I do. 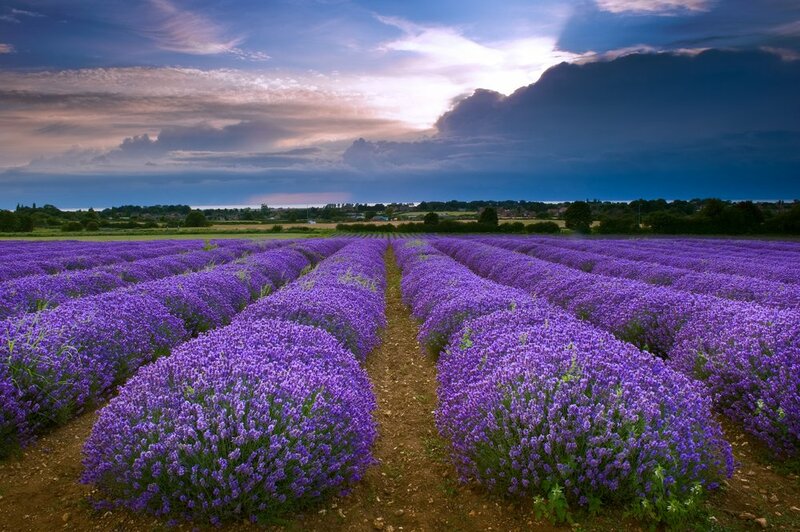 Provence is probably the most famous place to see lavender fields and, looking at this picture, I am not surprised. 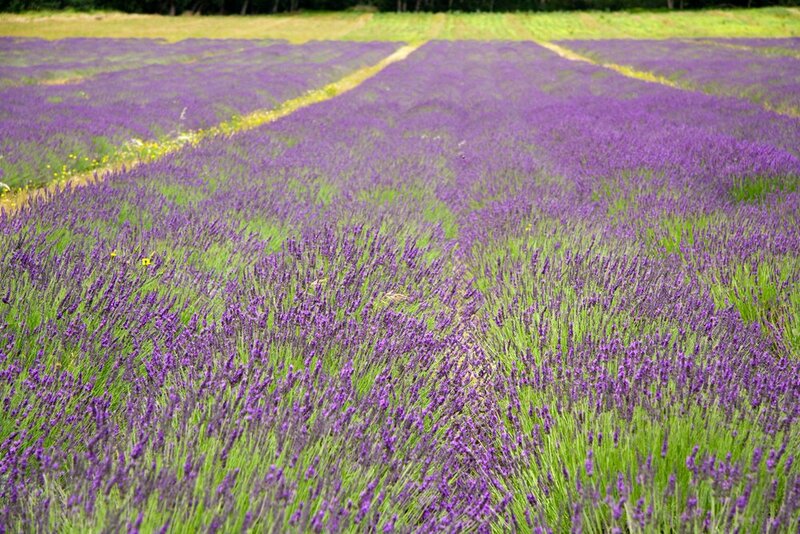 The lavender fields in Provence were the main reason I finally visited Provence for a week and seeing them was the first thing on my Provence itinerary. 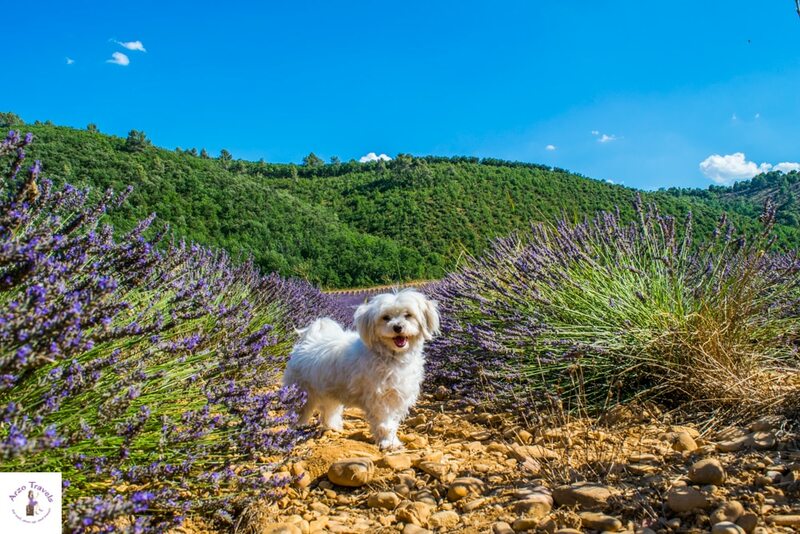 Puppygak, my dog, who came with me to Provence made a great model for my lavender fields in Provence (you have to agree with me here even if you disagree). To find out more about the lavender fields click here and read more about things to do in Provence..
Read more about the lavender fields in Provence. To be honest, I had not known before doing research for this post that there are such beautiful lavender fields in Tihany, Hungary. 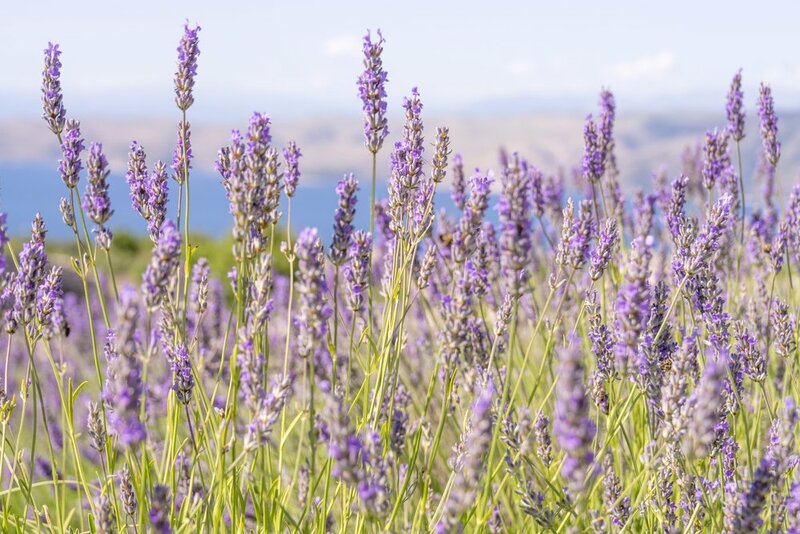 Bulgaria is one of the world’s biggest producers of lavender oil, so you´ll find many lavender fields in Bulgaria as well. 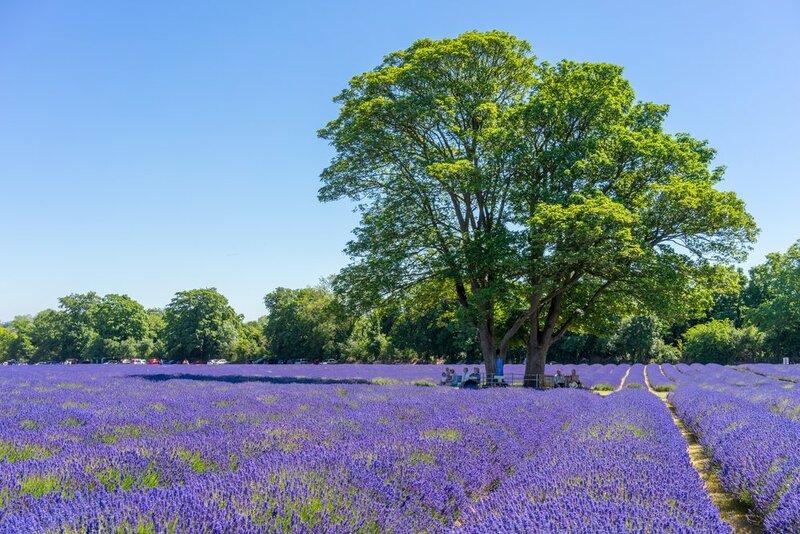 There are actually a couple of places to see lavender fields in the United Kingdom, like the Heacham Lavender Field in North Norfolk, England or the Lavender field in Banstead Surrey. 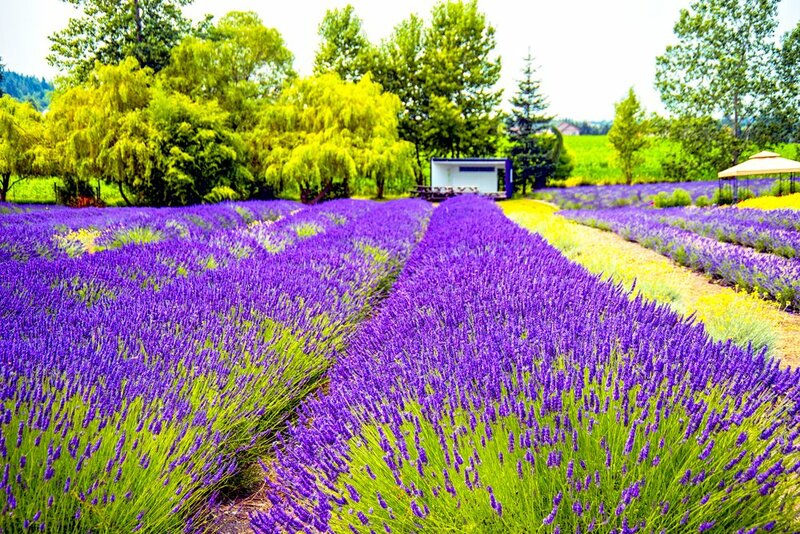 You can find some lavender fields in Sequim, Washington in the United States of America. 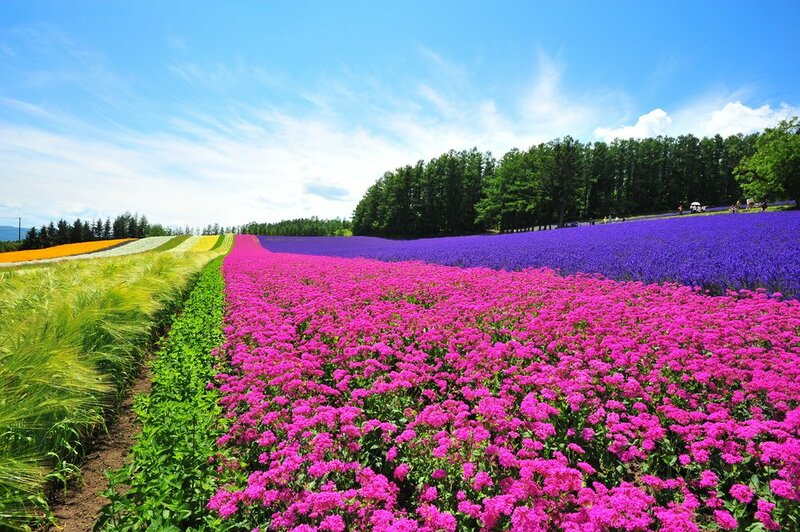 To see lavender fields in Japan, you can visit the Flower Farms of Hokkaido Japan. 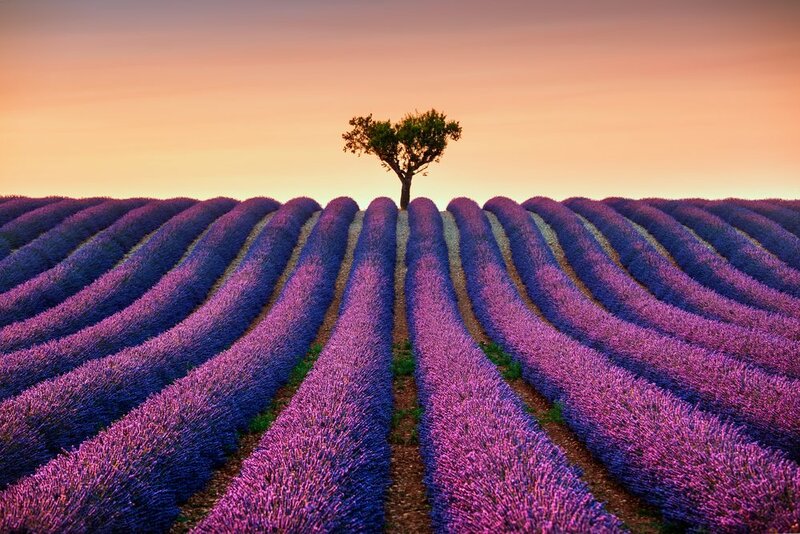 Purple lavender fields can also be found in Paarl, South Africa. Croatia has also some lavender fields, so if you are around Hvar you might be lucky enough to see some. 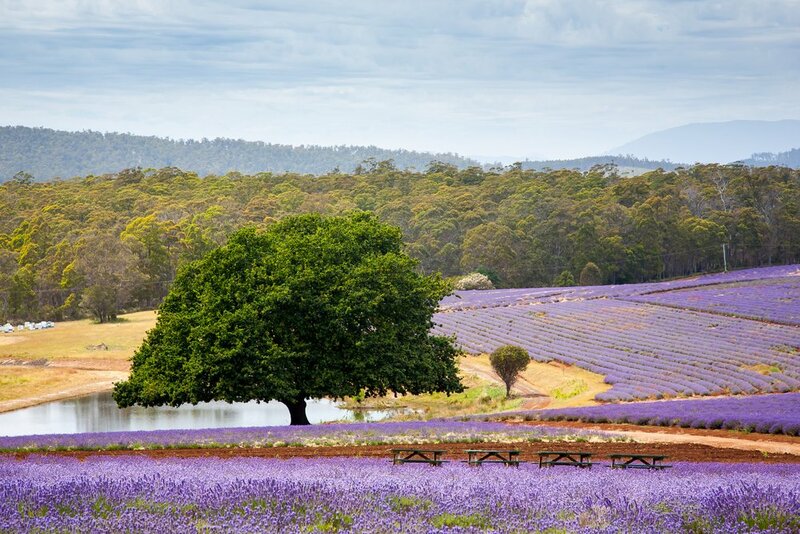 Last but not least: to see some lavender fields in Australia you can visit Tasmania. While I admit this is not a huge lavender field, there is some cute lavender in Bernese Oberland. 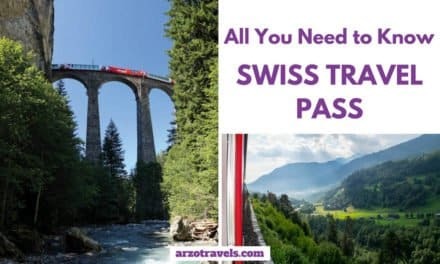 Since Switzerland should be on every bucket list, I just added it here and to find out more about this gorgeous country click here to see what else there is to see and do in Switzerland.